Vintage is a trend that has inspired us to love our homes, mixing old and new to create a lived-in space with real character and charm. 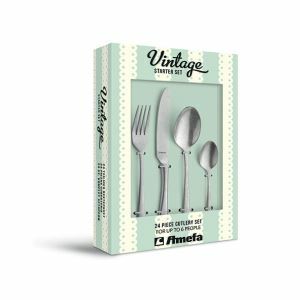 At Amefa, we ‘re proud to bring the vintage look to the table. 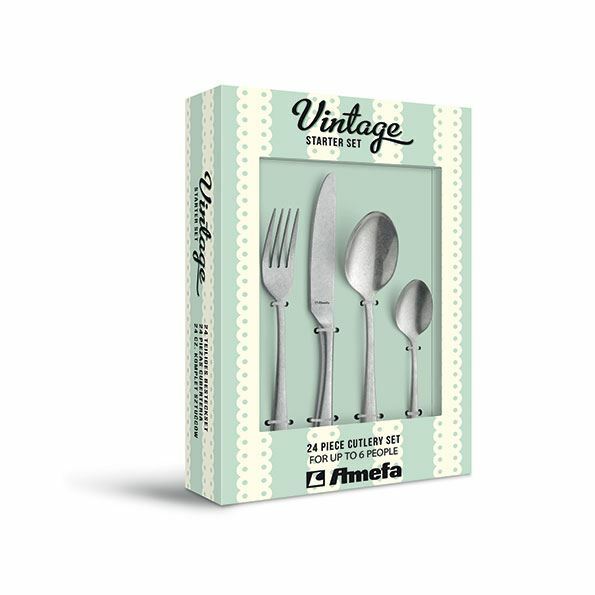 The Amefa Vintage sets have an authentic retro look and elegant shape. 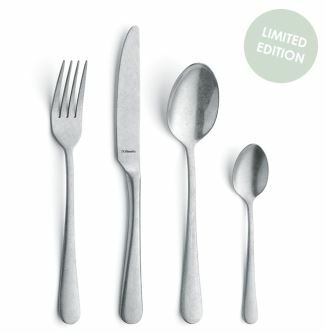 The sets are available in gold, copper, black and stone washed look. 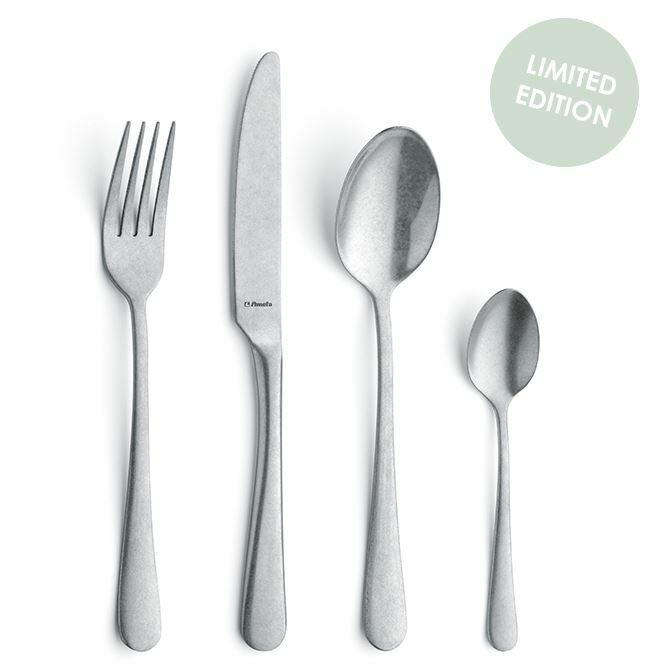 This unique set of cutlery with stone washed finish creates a vintage effect on the stainless steel.